"Two of L.A.'s top rival cops are going to have to work together... Even if it kills them." 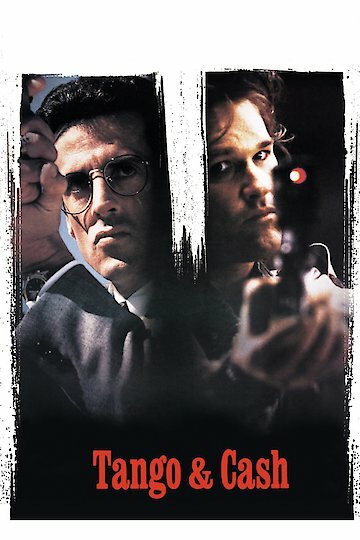 Tango & Cash follows two detectives that are part of the LAPD. These two detectives were able to keep the criminal Yves Perret from operating within their territory. They find a dead body and are part of a wire tapping scheme that ends both detectives in jail. They find themselves in the same jail with many of the people that have arrested in the past. The assistance warden, Katherine, helps Tango and Cash escape from jail. They find information about the murder and how they were set up to take the fall. They also find the witness that lied in court the lead to their conviction. After some detective work they find out that Perret is behind the murder and setting them up. The movie stars the likes of Sylvester Stallone, Kurt Russel, and Teri Hatcher as the main characters. Tango & Cash is currently available to watch and stream, buy on demand at Amazon, Vudu, Google Play, iTunes, YouTube VOD online.